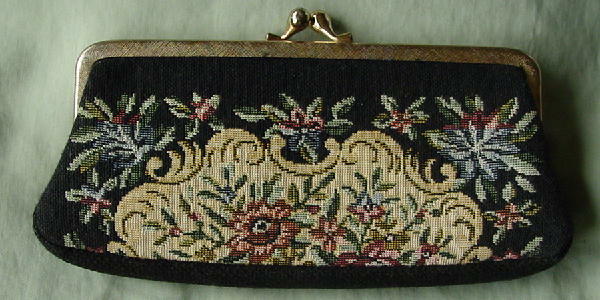 This never-used vintage tapestry makeup bag has a black background with a floral design and backdrop in antique white, various shades of green, light maize, black, white, and pink. 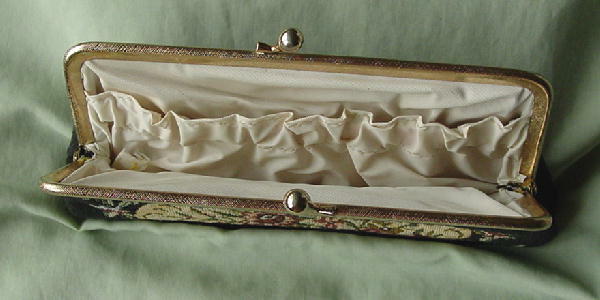 The interior is in a cream color plastic. It has an open pocket. It could also be used as a mini clutch purse. There is a gold-tone rim and bypass closure.